Thumbnail photo courtesy of Ian Collier, Forestry Commission, Dingwall, taken 02/2000. For (possible successor) Ardtornish House or Tower (NM 7033 4753) and related buildings, see NM74NW 13. Ardtornish Castle stands at the seaward end of a promontory which projects southwards into the Sound of Mull about 2km SE of the mouth of Loch Aline. The principal building, a hall-house, occupies the summit of a rocky outcrop rising about 10m above the general level of the promonotory, while other structures, now mostly reduced to their foundations, lie scattered on the N side of the hall-house and along the E foreshore. There are no traces of any defensive works on the landward side of the promontory, and the narrow gorge that bounds the site to the SW appears to be of natural origin. The hall-house is oblong on plan (q.v. ), and measures about 17.2m from W to E by 8.8m transversely within walls some 2.7m in thickness which now stand to a height of about 5m. The interior is choked with debris. The present appearance of the building owes a good deal to a misconceived 'restoration' carried out in 1910 and 1914-5, during which considerable areas of the facework were renewed, including the greater part of the E wall, the NE and SE angles, and the entire upper portion of the S wall. The doorway at the centrre of the E wall, by which the hall-house is now entered, was formed during the restoration, but evidently supersedes an earlier opening in the same position. There may also have been a separate first-floor entrance, but no traces of such now survive. The disposition of the outbuildings is shown on plan. 'L' appears to have been a barn with an attached corn-drying kiln, while 'P' may have been a boat-house. Little is known of the early history of the castle. Stylistic considerations suggest that the hall-house was erected in or about the second half of the 13th century. It was probably abandoned in or before the end of the 17th century. Thereafter it appears to have stood derelict until 1873, when the walls of the hall-house were re-pointed. D MacGibbon and T Ross 1887-92; P Gaskell 1968; RCAHMS 1980, visited 1973. 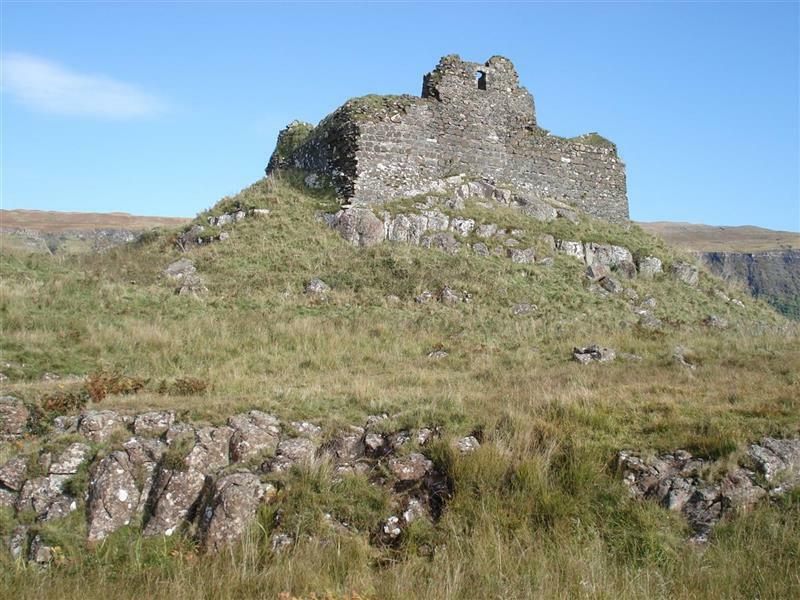 The remains of Ardtornish Castle and other buildings, which are presumably later, are generally as described. Visited by OS (NKB) 16 June 1970. Ardtornish Castle, 2.2km NE of Lochaline. Prominently sited but architecturally unrewarding stronghold of the Lords of the Isles, placed on a steep promontory jutting into the Sound of Mull. The house, built on the summit of this naturally defensible position, appears to be late 13th cent, a rectangle c. 17.2m by 8.8m, constructed of basalt blocks brought to rough courses by flat pinnings. At the NW corner, a buttress-like garderobe projection. Door in the E wall: it is in the original position but dates from the restoration of 1910-15. Interior noe filled with grass-covered debris, but sockets in the long N and S walls suggest that the upper floor was carried on wooden joists. HS - scheduled monument consent was granted on 10/04/01 to allow a temporary camp to be set up within the scheduled area. This will facilitate work relating to the conversion from the existing gas light to solar light at the lighthouse. LOC Local Plan, Feb. 1991: P55/5.2.26. Visitor Facilities. The Council will consider provision of viewpoints and interpretation at this site. Highland Council Archaeology Unit, HCAU Slide Collection Sheet 7, 127 (Image/Photograph(s)). SHG24258. Taylor, A, 02/2010, A Collection of Highland Buildings and Monuments (Image/Photograph(s)). SHG25366. Guide pittoresque du voyageur en Ecosse, 1838, Guide pittoresque du voyageur en Ecosse, Engraving p. 179 (Text/Publication/Volume). SHG2299. MacGibbon, D and Ross, T, 1887-92, The castellated and domestic architecture of Scotland from the twelfth to the eighteenth centuries, Vol. 3, 122-4; illust (Text/Publication/Volume). SHG2442. Gaskell, P, 1968, Morvern transformed: a highland parish in the nineteenth century, 167 (Text/Publication/Volume). SHG2242. RCAHMS, 1980, The Royal Commission on the Ancient and Historical Monuments of Scotland. Argyll: an inventory of the monuments volume 3: Mull, Tiree, Coll and Northern Argyll (excluding the early medieval and later monuments of Iona), 170-3, No. 332; fig. 201-202 (Text/Report). SHG2660. Gifford, J, 1992, Highland and Islands, 225 (Text/Publication/Monograph). SHG2247. --- Image/Photograph(s): Ardtornish Castle.. Colour Slide; Digital Image. .
--- Text/Publication/Volume: Gaskell, P. 1968. 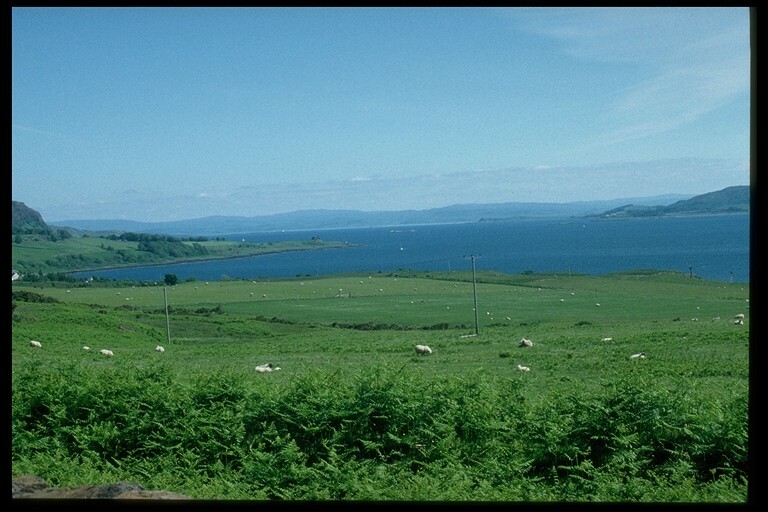 Morvern transformed: a highland parish in the nineteenth century. 167. --- Text/Publication/Monograph: Gifford, J. 1992. Highland and Islands. The Buildings of Scotland. Paper (Original). 225. --- Text/Publication/Volume: Guide pittoresque du voyageur en Ecosse. 1838. Guide pittoresque du voyageur en Ecosse. Engraving p. 179. --- Image/Photograph(s): Highland Council Archaeology Unit. HCAU Slide Collection Sheet 7. Colour slide. . Digital (scanned). 127. --- Text/Publication/Volume: MacGibbon, D and Ross, T. 1887-92. The castellated and domestic architecture of Scotland from the twelfth to the eighteenth centuries. Hardback. Vol. 3, 122-4; illust. --- Image/Photograph(s): Taylor, A. 02/2010. A Collection of Highland Buildings and Monuments. Colour. Yes. Digital. --- Text/Report: RCAHMS. 1980. The Royal Commission on the Ancient and Historical Monuments of Scotland. Argyll: an inventory of the monuments volume 3: Mull, Tiree, Coll and Northern Argyll (excluding the early medieval and later monuments of Iona). . 170-3, No. 332; fig. 201-202.